Check out the latest news below! Sign up for newsletters and announcements on the contact page. Sign up for a mentoring session with Sally to explore ways to access your inner knowing. 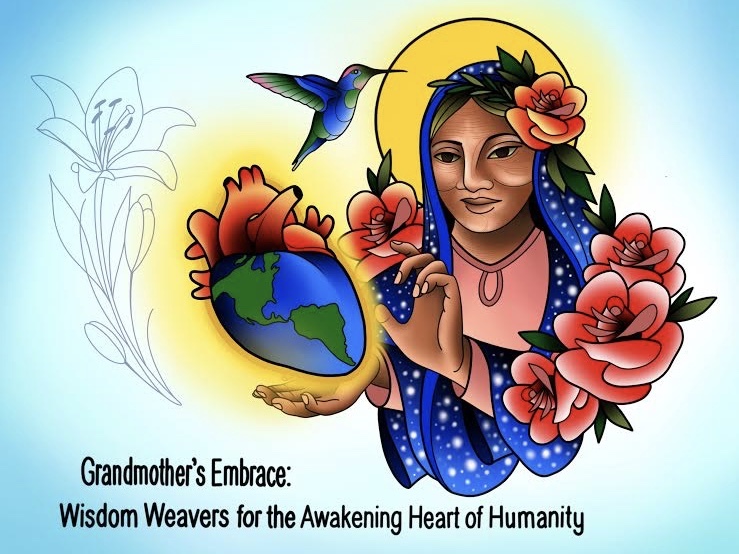 The Universal Grandmother archetype creates the container of fierce Divine Feminine Christ Love for all of humanity. Let us hold the Truth of the Holy Mother Holy Father Sophia God’s all-encompassing love for all her creations till every person can do so for her or himself. This Facebook group is for both men and women who feel the sacred fire of the Grandmother’s Embrace. Sacred fire is fueled by Divine Love. It cleanses and clears out old paradigms to bring light to darkness and make way for the new. As people of wisdom we’ve come to this place of Christ embodiment through many mystical paths. All are welcome here to share and join in the Oneness of our Divinity in human form. As above so below, as within so without.